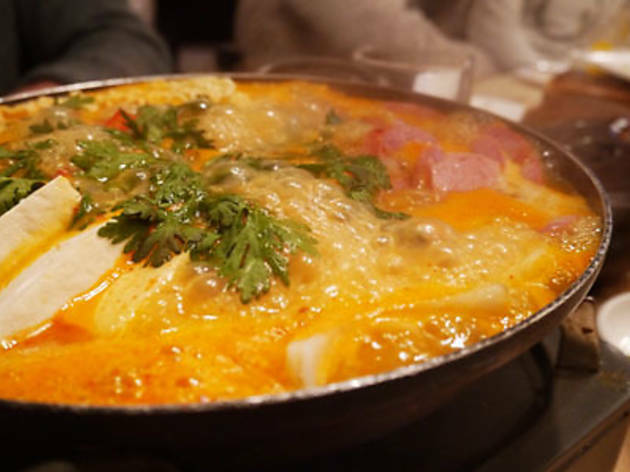 For your 24-hour Korean food fix, look no further than Hyungboo. 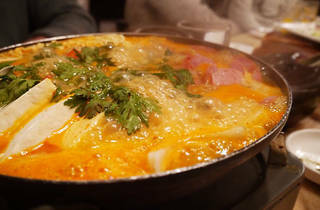 The Akasaka branch of this Korean restaurant chain stays open night and day, serving a diverse menu including hotpot favourites gamjatang and budae jjigae, keranchimu (Korean-style steamed custard pudding), jijim and yakiniku. It's a popular spot for devoted followers of K-pop idols, and the walls are plastered with autographs and photos of celebrities, both Korean and Japanese.